Last Saturday was Australia Day, a public holiday which commemorates the arrival of the First Fleet to Australia in 1788. So my wife and I flew to Sydney to stay with one of her friends and her partner for the long weekend. 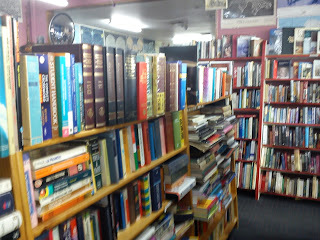 As well as the obligatory book hunting (see next blog entry) we also spent some time sight seeing. On a very wet Sunday we walked from Darling Harbour to Circular Quay. Then after exploring the Opera House and grabbing a drink at a bar underneath we caught a ferry to Manly. Here's some photos. Sydney Monorail, soon to be no more. Pic taken while walking along a path on the harbour foreshore toward Circular Quay. The walk only takes about 30 minutes and passes a number of new buildings under construction, including the site of a new casino. Some old buildings along the path. These ones are near a suburb called The Rocks. One of the first views of the Opera House near Circular Quay. 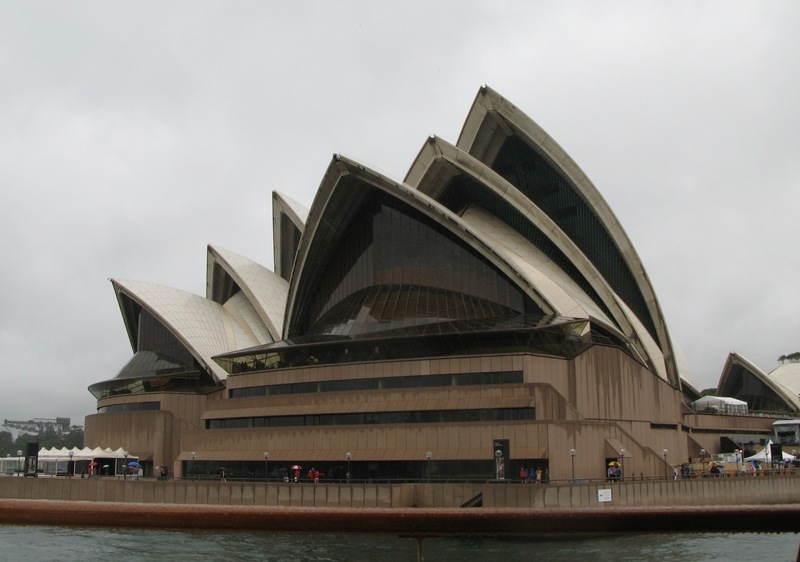 View of the Opera House from ground level. An indication of the size of the ocean liner. Vessels as large as this are unable to go under the bridge. View from our ferry leaving Circular Quay toward Manly. Manly beach. Despite the bad weather the life savers were still on duty as there were surfers in the water. A couple more pics of the Opera House as we travelled past it on the ferry. Today marks the first anniversary of PizGloria.com being launched on the web. In the past year there have been almost 3,000 unique visitors, with 4,745 visits in total. Each visitor on average has spent 4m 42s on the site, and in total there have been over 24,500 page views. I'm really happy with how the site has been going so far. I told my wife and friends that if I had 1,000 visitors in the year I would be really rapt, so three times that is awesome. And next year more books will be added, hopefully visitors will return and new ones will find the site. And in a years time I'll post some more stats which I trust which will be just as good as this years. ps. I managed to sneak out of the office today at lunch and visit a couple of second hand book stores. I was hopeful I would be lucky because of the first anniversary but no such luck eventuated. - Out Of Print Books - two Fleming Pans and a "Devil May Care" but I had them all. 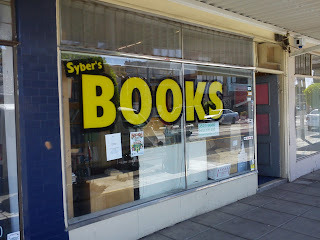 - Syber's Books - unfortunately no Bond paperbacks at all. And as well as doing some touristy stuff while in Hobart I also managed to squeeze in some book hunting. Unlike my visit in October last year this time I concentrated on just a few book stores that I thought might be lucky for me, especially because of time constraints. 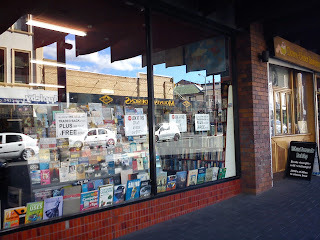 - Imperial Secondhand Bookshop (second hand) - first stop for me when visiting book stores in Hobart. 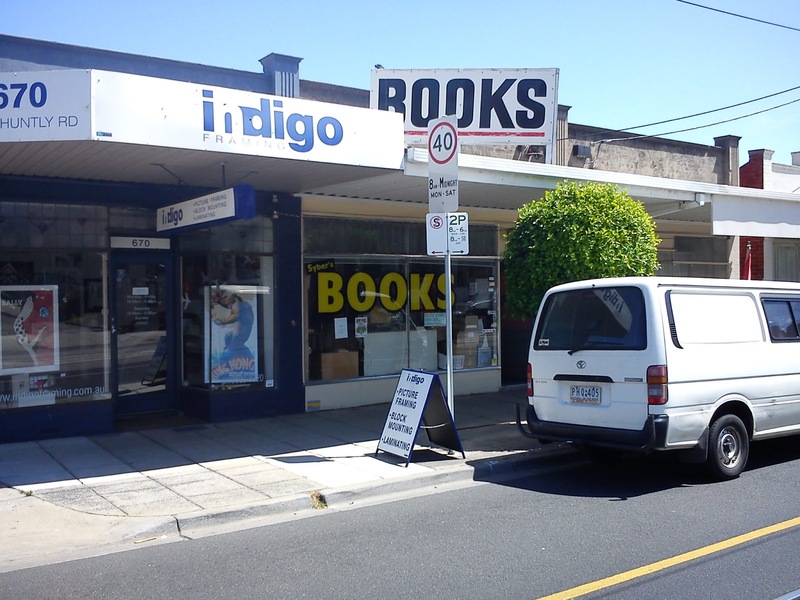 Unfortunately no paperbacks however they still had heaps of Jonathan Capes. 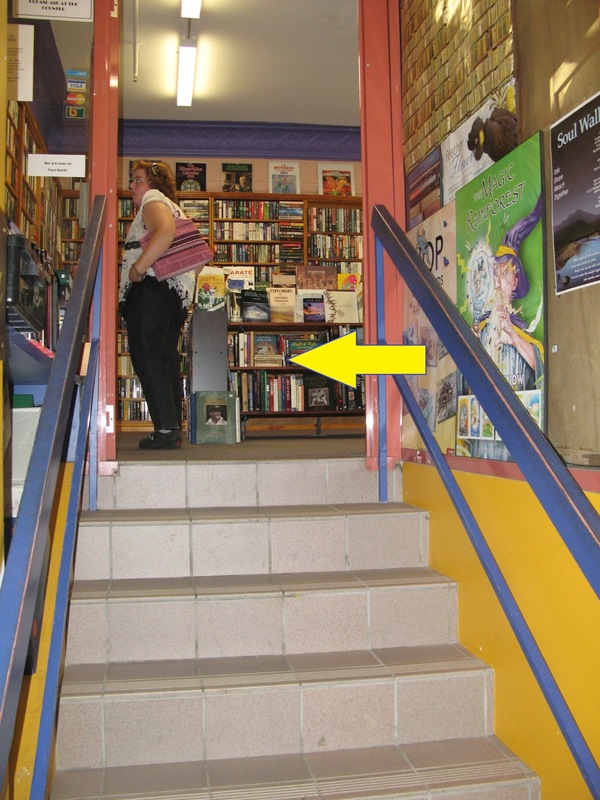 One of the owners also showed me a recently acquired hardback of "Dr No" with dust jacket, the second in the store. The amazing thing about this store is as you enter there are four Capes just sitting on a shelf. I doubt there are many other second hand book stores where the Bond hardbacks are so accessible. 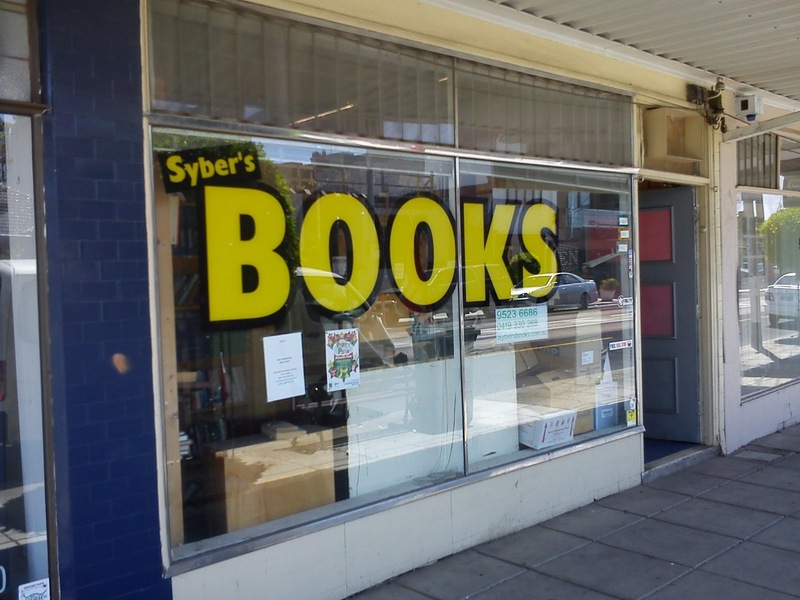 - Deja vu Books (second hand) - I looked through some of the paperback thrillers in the boxes out the front of the store and also asked one of the owners who explained they were out of stock of James Bond at the moment. 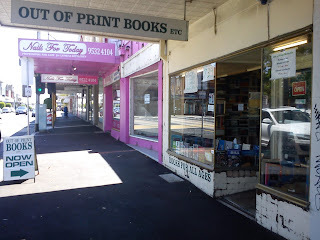 - Tolhurst's Downunder Bookshop (second hand ) - no Bond books unfortunately. Last time I visited and mentioned James Bond the friendly owner handed me a slip of paper promoting the Fantastic Fiction website which he said he often used as a reference. This time however I handed him one of my cards promoting Piz Gloria and hoped he would also mention my site now to any other fellow Bond collectors. 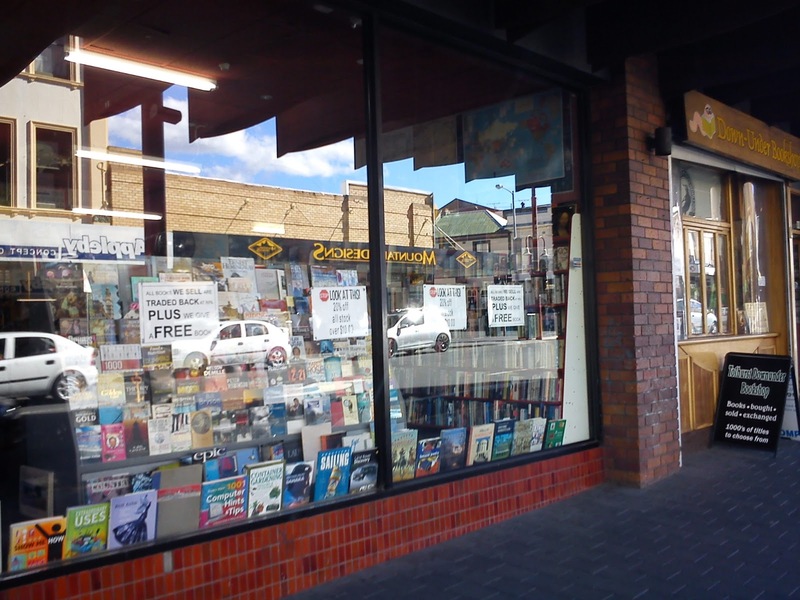 The owner was so generous he even rang another book store in Moonah for me and asked them if they had any Bonds. No luck though: a couple of 60's Pans. - Salamanca Market (second hand) - heaps of stalls selling second hand books but unfortunately I only spotted one Bond paperback, the copy of "Carte Blanche" shown above. My wife had to go to Tasmania for work last week so I joined her for three days. There were some large bushfires just outside of Hobart so we stuck to the City centre and adjoining suburbs. 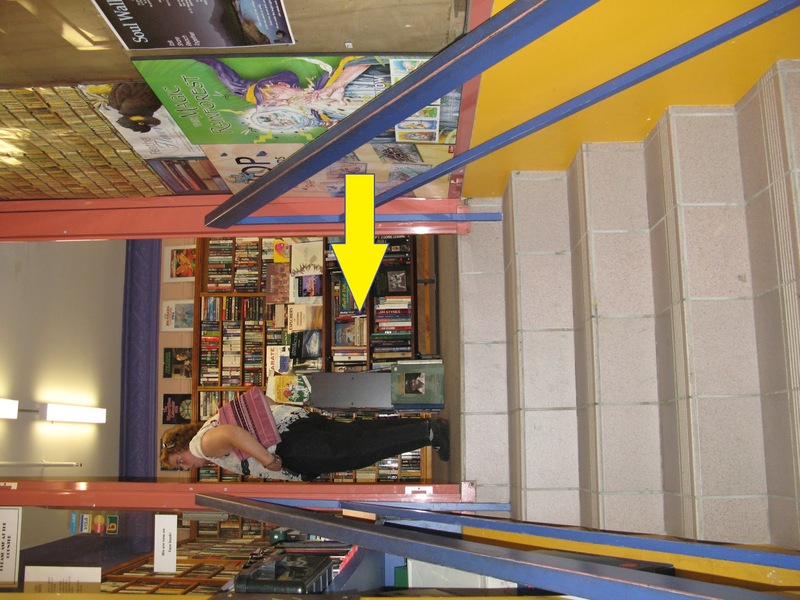 It also gave me a chance to do some more book hunting. Here's some pics of our travels. I'll include some pics of my book hunting in the next blog entry. We visited the Cadbury Factory and purchased a heap of chocolate. Unfortunately now we're back I'm starting to see the effect on my stomach. We also had a meal at my favourite restaurant in Tassie, Mures Upper Deck which serves fantastic seafood. There's also a pic of the view from the restaurant. A couple of large passenger ships had docked in the harbour near Mures. We spoke to one of the passengers at the Cadbury Factory and he explained that the ship he was on, the one hidden to the left, is the largest in the Southern hemisphere. We also visited Salamanca Market on Saturday morning. Arguably the best market in Australia it had heaps of book stalls. I'll include those pics in the next blog entry. Tourist bus with the Tasman Bridge and Derwent River in the background, taken while we walked to the Botanical Gardens about 30 minutes walk from the City centre. Passing by the site of the Beaumaris Zoo which was closed in 1937. It is more famously now known as the location of the last captive Tasmanian Tiger. And finally we reached the Botanical Gardens. Quite a walk in the Summer heat. Great place to relax though. I don't think we have bees as big as this on the main land ! And finally some old buildings.